If you ever braise meat or fish, I believe you will use kitchen bouquet at least once. It is a wonderful sauce that can give your foods a better taste and attractive colors. However, it is not so easy to purchase in many countries and places in the world. Therefore, in my article today, I will introduce you the most perfect kitchen bouquet substitutes. You will see there is no reason to try hard to find a kitchen bouquet when you already have the best substitutes with safe and natural ingredients. The first product that you cannot ignore when choosing a healthy substitute for your kitchen bouquet is Bragg Liquid Aminos. It has been givenNON-GMO Certificate and gained its significant reputation among users. The liquid is derived from soy beans but has a much greater flavor than those. Not only can it your foods delicious but it also performs wonderful benefits on people who are on diet. With its kosher and gluten-free recipe, the product is a perfect and healthy kitchen bouquet substitute that can significantly assist you on your weight loss process. 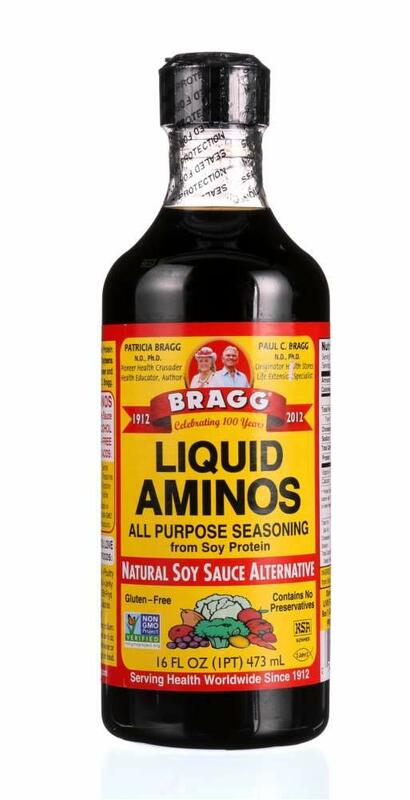 Besides, if you are allergic to soy sauce but still like it, Bragg can definitely satisfied you. Its flavor is precisely similar to soy sauce and will help you make excellent Chinese dishes that you always want. As allergic to soy sauce, I highly recommend Bragg to anyone having the same issues like me, which are inflammation and arthritis. One note for you when cooking with Bragg is that you should add the exact amount which the producer states on the bottle. It is about half of a teaspoon. The reason is that the liquid can make your foods salty when they cool down if you use too much. So try to pay attention and you will have the best dishes ever. If there is any plant-based sauce that I would recommend to replace kitchen bouquet, it’s Maggi. With the most ingredients fromwheat and caramel color, it can perfectly brown your foods make the best flavor out of it. You can add it to various types of dishes, such as soups or sauces. However, housewives would suggest it for steak burgers, chicken, and BBQ in general. Maggi can notably change the flavor once you add it to them. Due to its high amount of salt and sodium, the product will make your steak and BBQ taste like heaven. The appropriate content that the producer notes on the bottle is one teaspoon. But, in my opinion, you still should put less than that into your cookware first and taste whether the dish suits your flavor. Then, you can add more if it’s flat. That can prevent too much salt on your foods and frustrate them. You can find big bottle of Maggi in almost every grocery stores in Europe. Nevertheless, if you live in the U.S, there are only a few places to find it. Lucky for you, the product appears regularly on Amazon.com so you won’t have to give so much effort to find it. The price is very reasonable as well. You need salads to be the starter of every meal? Worcestershire sauce is precisely what you need. The name “Worcestershire” surprised me when I first saw the brand because it sounded so “royalty.” In fact, it does have a prestigious origin if you have a chance to find some further information about it. A member from English nobility in the 1830s, Lord Marcus Sandys, discovered the sauce while governing Bengal. When he returned home, he gave it to two chemists, Mr. Perrins and Mr. Lea, to complete it. 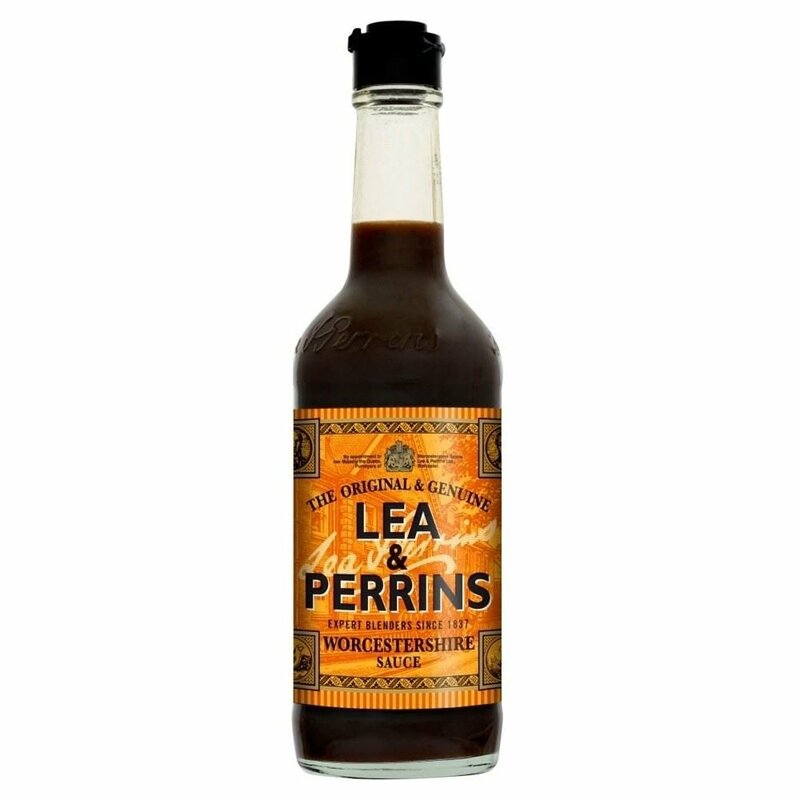 That is why the most common and long-standing Worcestershire sauce in the market nowadays is named Lea and Perrins, after two chemists. Perhaps, due to its noble origin, Worcestershire sauce was widely used by royal members in not only the City of Worcester but also all over America. The sauce is sweet and savory with the combination of anchovies and lots of ingredients, such as tamarind, garlic, onion, or molasses. Therefore, it is an excellent choice for salad dressings, dips, and marinades. The color will look beautiful and very natural. One special thing is that you can add this kitchen bouquet substitutes directly to your foods or pour it to a small bowl and make it a sauce for your meat, fish, or sushi. The flavor is not too strong and a little salty, which will create the best dishes just for you. The next sauce that I would like to suggest today is Gravy Master, which is for home cooks who do not want to change the flavor of their dishes. Of all the products in this list, Gravy Master seems to be the most deserved and unique kitchen bouquet substitutes for turkey, pork, and beef. Although it does not have a thrilling history like Worcestershire, the sauce still has a long time of development. Since 1935, it has been famous for in-depth color and appearance, which can bring a delicious look for various types of dishes. With great features, the sauce is an evitable ingredient when you want to brown gravies, stews, vegetables, poultry, or meats and still keep their natural flavors. 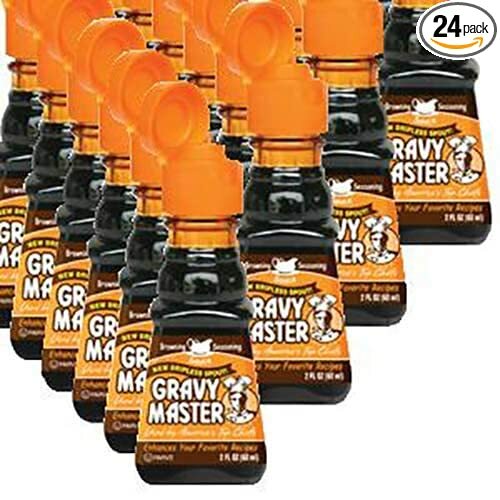 Besides, the size of Gravy Master’s bottle is quite small, which is only about 4.4 inches. Therefore, if you are trying to look for a replacement for kitchen bouquet in only two meals top, it will be a perfect option. Similar to Maggi Seasoning, it can be found easily in Europe but rarely in America. So, you can purchase it on Amazon.com for the most convenience. However, be careful when preserving the product. The bottle is made of glasses so it can quickly get leaked or broken if you place it too strong. Also, keep it in a high, cool, and dry place, where light can hardly reach. You will be able to keep the product for years. Try it and you will see. In this final part, I will show you a recipe to make a kitchen bouquet substitute at home. Homemade sauce has fantastic values for the color, tastes of the foods, and most importantly, your health. With several tweaks and unique ingredients, you can control the amount of seasoning you put in and have the most delicious sauce ever. Have you found the most appropriate kitchen bouquet substitutes for your dishes? I hope that you have. And I also hope that my experiences with the products have satisfied you and helped you make your family’s meals much more delicious. If you have any opinions, thoughts, or opinions, do comment them on the space below. I would love to have a discussion with you. And if you like my article, feel free to share it with your friends or anyone that you know that this content will help. I believe it will be helpful for them just like it has been for you. By the way, I want to introduce some useful food substitutes from my blog which might help you: Ranch Style Beans Substitute ,Gochugaru Substitute ,Coriander Substitute. Regardless, thank you for reading my article and I will see you in my other writings.